The country’s lenders have boosted their capital since the 2011 crisis, sit on a large pile of deposits and are cutting bad loans. But they still have almost 340 bln euros of Italian government bonds. This means they are vulnerable to any loss of confidence in Italy’s debt. Italy’s right-wing League and anti-establishment 5-Star Movement on May 30 renewed their attempts to jointly take power and end a three-month political impasse in Italy. President Sergio Mattarella on May 27 blocked the creation of a new government as he objected to the choice of eurosceptic economist Paolo Savona as economy minister. The two radical parties are trying to agree on a new name for the economy ministry. The political uncertainty triggered a sharp drop in Italian government bonds and stocks on May 29. The FTSE Italia All-Share Banks Index was up 1.7 percent by 1430 GMT on May 30. 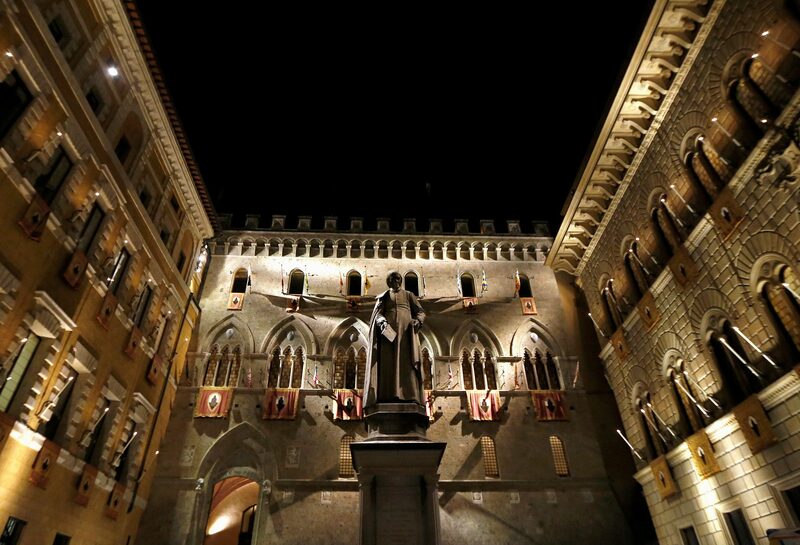 Yields on Italian 10-year government bonds dipped slightly to 3.06 percent.